Upgrade you bathroom! The bathroom has been in the dark for too long. Give your bathroom a new and fresh life with some new bathroom interior. 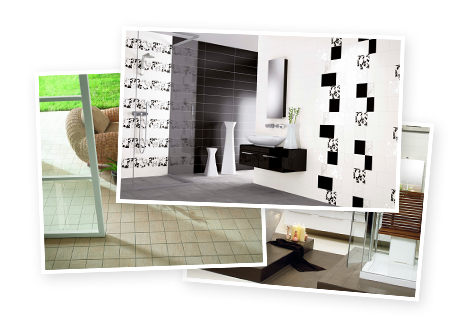 We can help you to a tailored solution for your bathroom, big and small. There are designs to fit everyone. Choose from old fashioned style, classy interior or futuristic furniture with new, cool designs. We sell nice, hearty and luxurious quality solutions from Ballingslöv and DuoBad. Most used in all of Sweden, the wet room carpet is easy to clean, hygienic, practical and very affordable. You will have a guaranteed waterproof and secure bathroom to an affordable price and with short mounting time. The wet room carpet give the bathroom a quiet and comfortable feeling for the room, with good comfort. There are many different colors and patterns to choose from. Pick between modern, classy, adventures, dark and light. 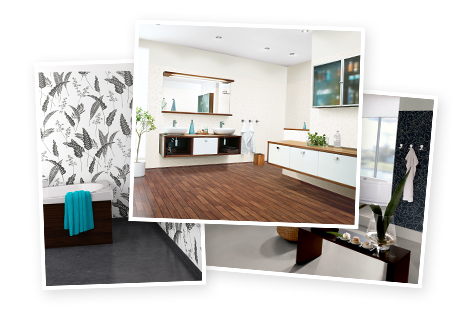 In our store you will find a full range from Armstrong, Forbo Flooring and Tarkett. When it comes to tile & clinker there are no limits to what you can do. 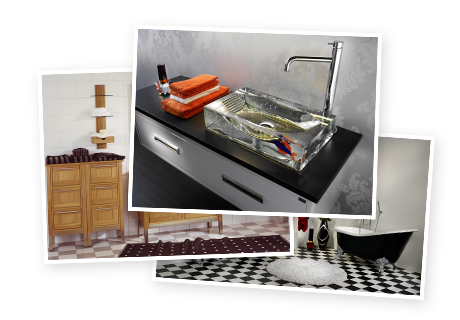 Only your imagination puts a hold to your bathroom, kitchen or whatever space you want to re-decorate. The floor is one of the most important parts when you want to create a new style in your home. 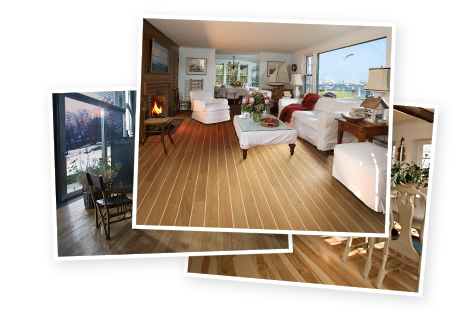 Because of that we offer a wide range of hard wood floors. Choose between different woods, such as the well known oak to the more exciting Jarrah. You pick 3, 2 or 1-rod with lacquer, matt lacquer of natural oil. If you’re looking for an exciting design we can offer fresh products with imprinted color. In our store you find one of Sweden’s biggest exhibits of Kährs hard wood floors, where you can touch and feel all of their products. Welcome to our English page that contains essentially the same materials as on our mainpage in Swedish. Unfortunately we will not be able to update our English site as often as our Swedish and no special offers or advertisements will be presented on our English site. Hope you have patience with this.